WMCU has a combined total revenue of £700 million with approximately 80,000 students of all ages accessing education, training or apprenticeships – a student body that remains and contributes to the local economy. All three organisations have long established, historical roots in their respective three Cities and have specialist areas of expertise. The University is currently investing £260 million in its facilities, including a major expansion of its largest campus, situated in the heart of the UK’s second city. It is also a major player in the regeneration of the long-neglected Eastside region of the city. 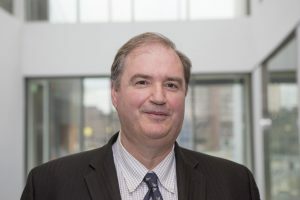 Professor Philip Plowden joined Birmingham City University in August 2017, having previously served as Deputy Vice-Chancellor at the University of Derby. Prior to that, Professor Plowden worked for almost 20 years at Northumbria University, where he was Dean of the School of Law. Professor Plowden graduated with a BA (Hons) in English Literature from the University of Oxford, but then qualified as both a solicitor and barrister. In practice he specialised in human rights and public law. He maintains close links to legal practice and education and is a member of the Law Society's Education and Training Committee. He was also a non-executive board member at the Office for Legal Complaints, which manages the Legal Ombudsman scheme. Before entering the legal profession, he worked for the Citizens Advice Bureau Service in London for almost a decade. In 2005 Professor Plowden was appointed as a National Teaching Fellow of the Higher Education Academy. His research interests are based in criminal law and practice, and in legal education and pedagogic practice. He also has an interest in the field of privacy law and freedom of information. Professor Plowden has been influential in the development of clinical legal education in the UK, and in strengthening an international network of legal clinicians, centering on the ‘International Journal of Clinical Legal Education’, which he edited for many years. Coventry is confident in its mission, in itself and in its consistent execution and delivery of objectives, with partnership driven approach, which is entrepreneurial and sustainable – both financially and operationally. John’s blend of business acumen and academic insight – as well as his passion for innovation in education – have, over the past decade, helped Coventry University to carve itself a reputation as the country’s top modern university, and one which is not afraid to do things differently. 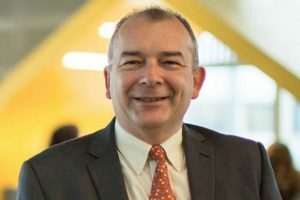 His appointment as vice-chancellor and chief executive officer of Coventry University in 2014 marked a milestone in an accomplished career which began when he graduated from the very same institution he now leads. It followed an eight year tenure as deputy vice-chancellor for business development at the University, and – prior to that – a diverse range of roles in an array of technology specialisms. Testament to John’s successful leadership is a raft of recent awards for Coventry, most notably the 2015 ‘University of the Year’ accolade awarded by the Times Higher Education, which followed a trio of consecutive ‘Modern University of the Year’ titles in the Times and Sunday Times Good University Guide for 2014, 2015 and 2016. John’s entrepreneurial approach has seen him forge connections and collaborations across the globe. The unprecedented reach and number of links Coventry University can now boast with a wide array of organisations – not just in the UK and Europe, but worldwide – continue to reflect his forward thinking leadership. A singular combination of business savvy and academic experience has seen him take an instrumental role in the establishment of several of Coventry University’s most ground-breaking initiatives, most notably its Technology Park and – more recently – the Institute for Advanced Manufacturing and Engineering in collaboration with Unipart Manufacturing Group. High profile roles at regional, national and European level have enabled John to engage extensively with programmes such as the EU-funded Midlands Innovation Relay Centre and Advantage West Midlands. He retains his considerable influence at a regional level through a deep and wide-ranging involvement with the Coventry and Warwickshire Local Enterprise Partnership, for which, as a board member and sub-group chair, he played a key role in the successful City Deal submission. Ownership of a number of board-level, committee member and advisory posts at several eminent national organisations – including the Design Council, HEFCE, Universities UK and University Alliance mission group – provide John with invaluable insight and an influence for Coventry University at the highest levels. The roots of the University of Wolverhampton lie in the 19th century growth of Mechanics Institutes, providing vocational and general education for working men.In Wolverhampton the Free Library (1870) developed technical, scientific, commercial and general classes, while a School of Art, established in 1851, had been developed into the Municipal School for Art in new buildings by 1885. Becoming a Polytechnic in 1969, the University was set up in 1992. Having recently committed to investing £250 million in new state-of-the-art facilities across its campuses in Wolverhampton, Walsall, Telford, Burton and Hereford, the University also has a global outlook, seeking out new opportunities for students, staff and graduates internationally, creating opportunities to access higher education and helping to develop the skills agenda. Hailing from the North East of England, Geoff graduated from Newcastle Polytechnic with a degree in law. He embarked on a teaching and research career, working in Manchester and Luton before joining Sheffield Business School as a law lecturer. Whilst at Sheffield Hallam University he established a suite of access and student support initiatives which enhanced the institution’s national reputation for inclusive learning. He was an adviser to a range of national quality assurance and educational development initiatives and became Professor of Lifelong Learning in 1996. In 1999 he joined the University of Bradford as Director of the Centre for Continuing Education. 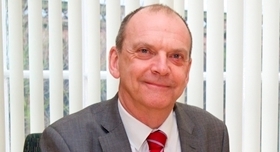 He was the founding Dean of the School of Lifelong Education and Development in 2001, and became Pro-Vice-Chancellor (Learning and Teaching) in 2004 before becoming Deputy Vice-Chancellor in 2011. During his career, Geoff has worked closely with HEFCE (Higher Education Funding Council for England) on its Widening Participation Strategy. He has served as a member of the West Yorkshire Learning and Skills Council and was a Careers Bradford Board member as well as sitting on the Bradford Employment and Skills Board. Nationally he served as a Director of Higher Education Research Opportunities Ltd and was a Trustee of the National Open College Network. Professor Layer is also the Chair of the Steering Group of the HEFCE Funded Centre for Sustainable Procurement. He is a Fellow of the Royal Society of Arts and was awarded the OBE for services to Higher Education in 2003.